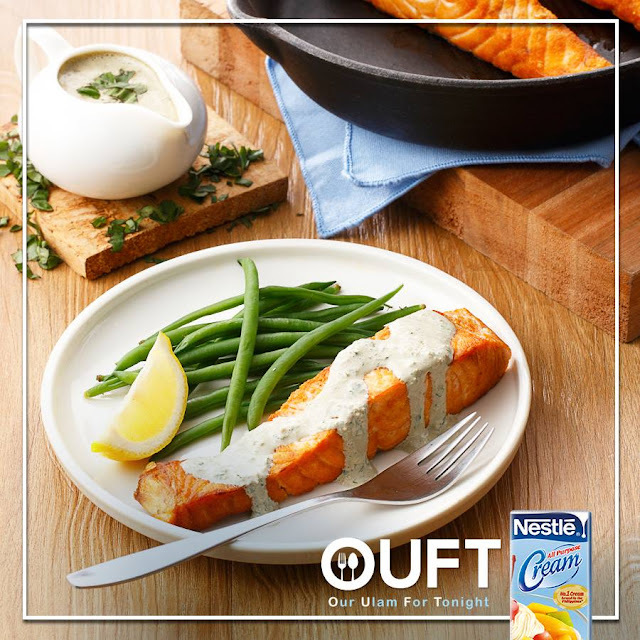 Whip up some creamy, tasty pesto sauce and top it over a freshly grilled succulent salmon for our ulam for tonight. Now, watch your family go for seconds. Try it, Foodies! 1. Rub salmon with Maggi Magic Sarap and leave to marinate for at least 5 minutes. 2. Heat butter on a non-stick pan. Pan-grill marinated salmon for 2 to 3 minutes per side. Set aside when cooked. 3. Combine ingredients Sour Cream Pesto Dressing and process in a blender. 4. Drizzle fish with prepared sour cream pesto dressing. Serve with steamed rice, potatoes or steamed vegetables on the side.